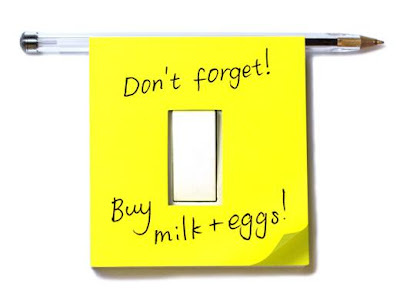 Switch Notes: These sticky notes come with a hole in the middle, just the right size to fix to a traditional light switch. 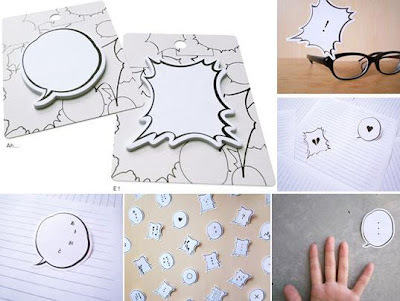 Comic Sticky Notes: Creative sticky note set inspired by Japanese comic books. 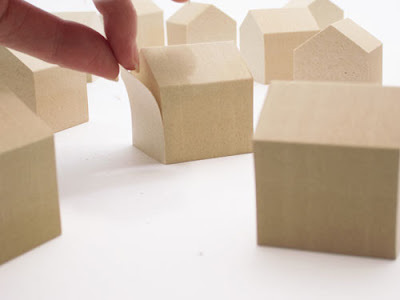 Building-Shaped Sticky Notes: Naruse-Inokama Architects took unused wood from homes, turned them into paper, and then made little building-shaped sticky notes. 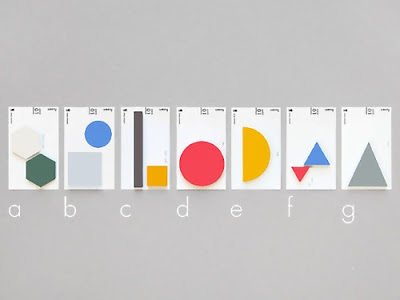 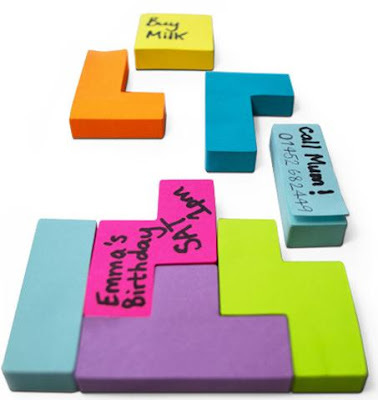 Geometry Sticky Notes: Make your day brighter using 9 different designs to choose from these geometric stickies. 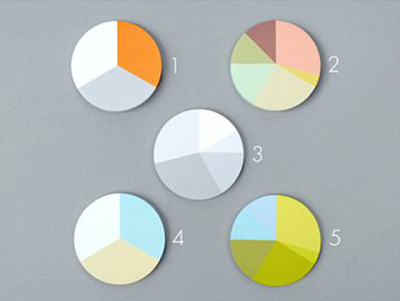 Pie Chart Sticky Notes: Each set is made up of some great colors and combines graphs & sticky notes (and pie!). 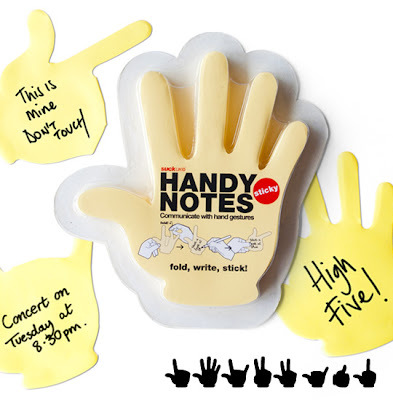 Handy Sticky Notes: With these sticky notes you can make a point, give thumbs up, and some more. 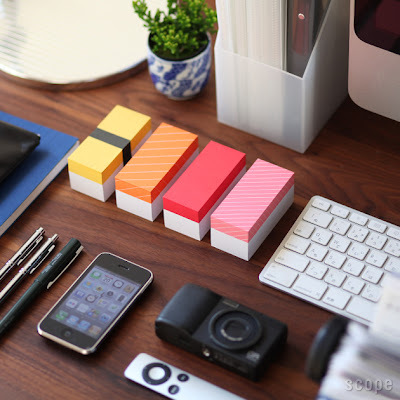 Brick Sticky Notes: These sticky notes shaped like red bricks will turn any wall into a realistic looking brick wall. 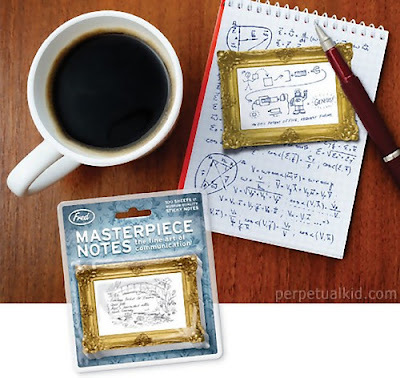 Masterpiece Sticky Notes: Use these notepads bring out your inner Picasso. 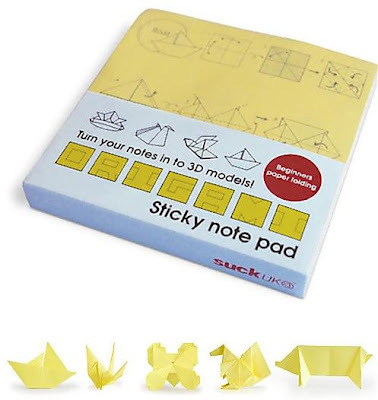 Origami Sticky Notes: Each origami notepad has instructions for 10 different shapes; reuse your old sticky notes and turn them into 3D models. 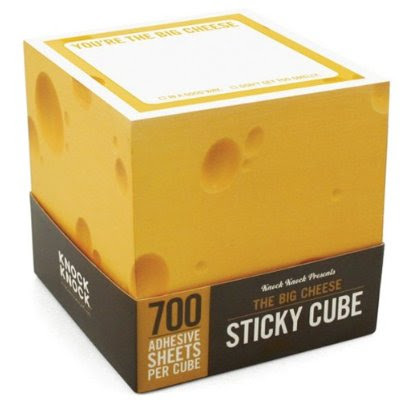 Cheese Sticky Notes: Combining desktop decoration with repositionable wit that stays fresh through 700 uses and even doubles as a fashionable paperweight. 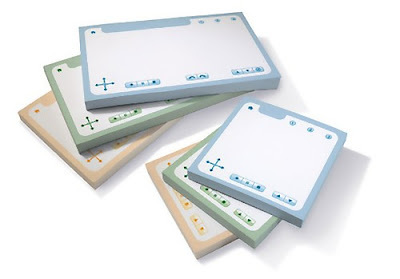 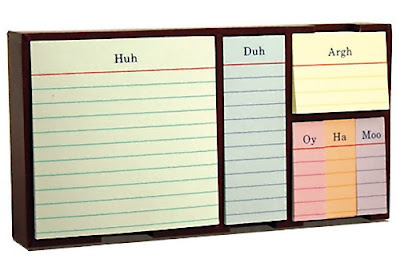 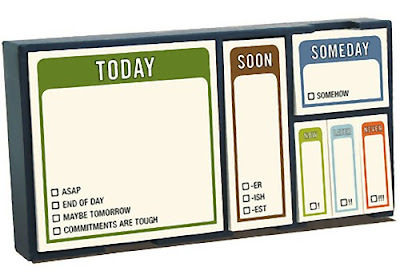 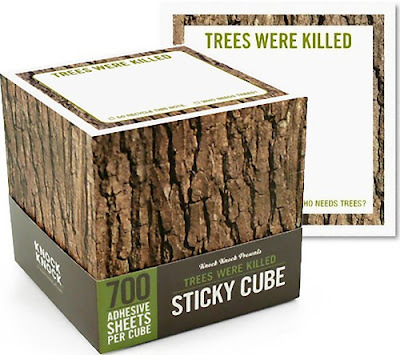 Sticky Set: "These sets of stickies are engineered to be uber-useful: enhanced productivity in a reusable keepsake box, containing six sets and a subtle dash of humor." 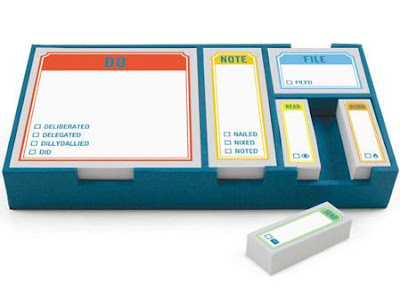 Sticky Set Whenever: These sticky notes will have you noting, tagging, and flagging in style. 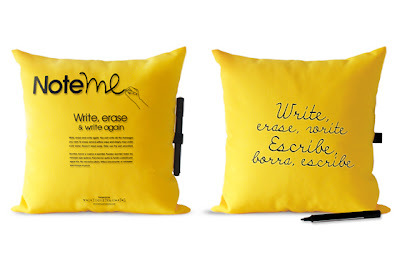 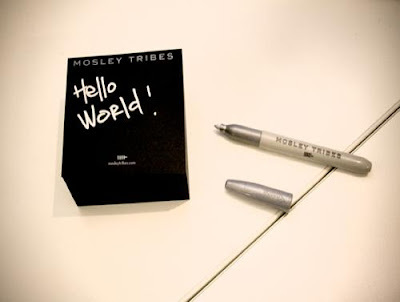 Post My Pillow: Just write directly on the pillow; it erases with a little water and the set includes marker. 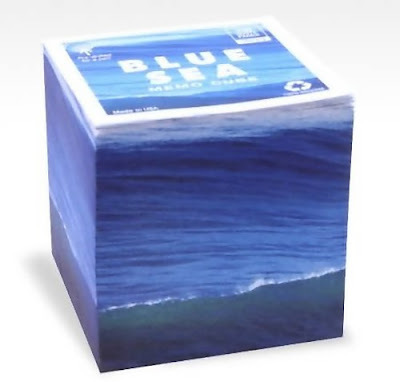 Blue Sea Sticky Notes: "The two-panel panoramic photograph is repeated twice so the ocean can be seen on each of the four panels of the cube."